A low-point lightly-sweetened lunch item you can enjoy for only three points! 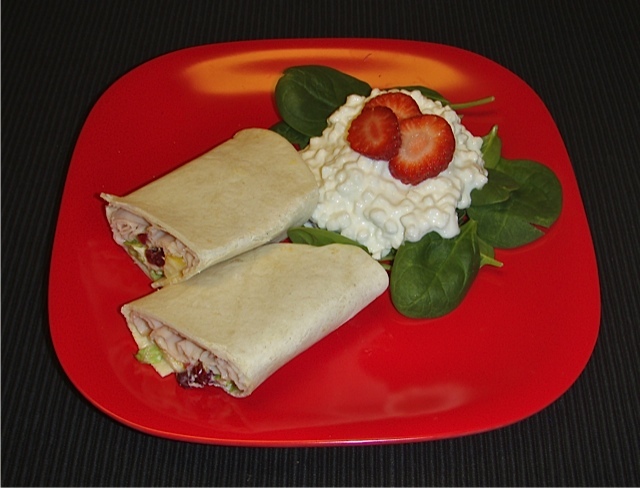 Filled with a wonderful mixture of cranberries, turkey, mandarin oranges, apples, cream cheese and more; this wrap is a delicious and healthy way to fill your empty stomach without putting on the pounds! In a bowl, mix oranges, apples, cranberries, cream cheese, sour cream, and Splenda. Using one wrap at a time, place 2 thin slices of turkey on a wrap with a little bit of lettuce. 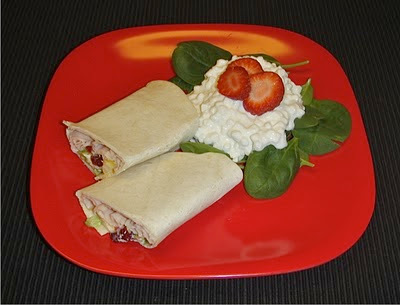 Place 2 Tbs of the cream and fruit mixture on the wrap and roll up. Repeat with all 8 wraps. Enjoy! If you'd like a printer-friendly version of this recipe, Click Here. Tip* If you prefer, just place the cream and fruit mixture on top a bed of lettuce for just 1 point.